As part of the improvement project, preliminary field work has started on D Avenue. 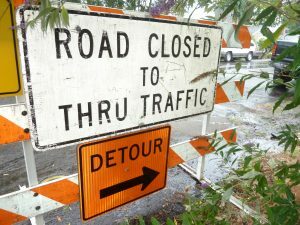 On Wednesday, December 7 through Friday, December 16, there will be a few half-day road closures on D Avenue, between State Street and 10th Street. These temporary road closures will occur one block at a time, while crews install groundwater monitors, collect soil samples and conduct exploratory digging. Residents located within the closure area will receive a door hanger before the closure begins.